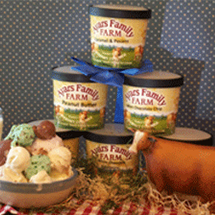 We are proud to sell our ice cream in many stores all across Ohio. On a long stretch of road just outside of Mechanicsburg, Ohio, golden-and-white Guernsey cows graze happily in pastures or rest in cozy barns. Cows are milked, calves fed, and homemade ice cream made fresh here on Land of Living Farm. 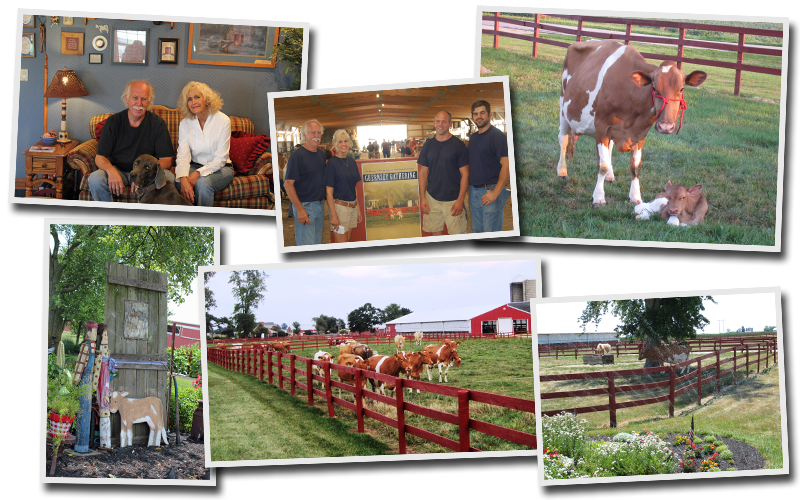 John and Bonnie, along with sons Lucas and Eli own and operate the farm, which has been a family farm since 1972. 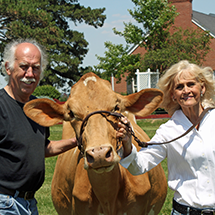 The name "Land of Living" stems from the belief of John's parents, Jack and Gladys Ayars, that the location of their farm was truly the scene of a land of living things. Though our farm consists of 1,000 acres of conventionally-grown corn, soybeans, and hay, our main focus has always been dairy farming. We milk 150 cows, both Guernseys and Brown Swiss, and use the Guernsey milk to make our homemade ice cream right here on the farm. There's nothing more important to us than cow care and comfort, which is why we strive to keep our farm and barns well-kept and clean. We started making ice cream in 2010 after a long period of research and learning. We are excited to offer such a niche product, and it's our honor to provide such a high-quality ice cream. When Lucas, farm manager and sole ice cream maker, is mixing a batch of ice cream, he can look out the windows of the building and see the cows grazing or relaxing in the barn. We here at Ayars Family Farm are glad to provide you with a delicious, wholesome ice cream treat - from our family to yours! Find our current flavors here. 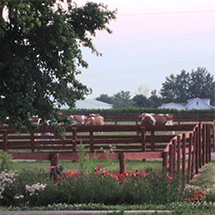 Ayars Family Farm | 4381 Rosedale Road, Mechanicsburg, Ohio 43044 | 937.284.1358 | Follow us on Facebook!